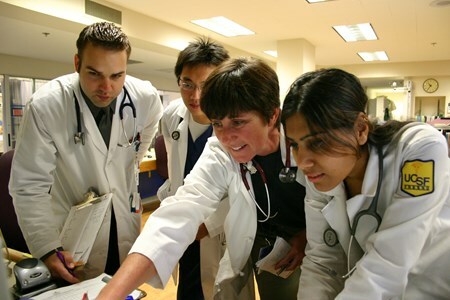 The prestigious UCSF Fresno and Central California Faculty Medical Group (CCFMG) faculty physicians and staff are united in achieving one purpose: to "Make Medical Education Happen." Our philosophy focuses on quality care, integrity of service, compassion for patients and uncompromised attention to learning. All of which is based on the foundation of accountability for our actions and enjoyment of our profession. Fulfilling our purpose allows us to have a meaningful impact on the direction of medicine in California’s Central Valley. CCFMG is based in Fresno, California, where residents enjoy a high standard of living combined with a low cost of living. In fact, not only is the cost of living reasonable, the Fresno metropolitan area is also the only city in California predicted by best-selling author and economist, Harry Dent Jr. to be in the sweet spot for growth over the coming years. Situated very near the geographic center of the state, we offer the unique opportunity to live within 1-3 hours of the coast, mountains and the San Francisco and LA metropolitan areas. Weekends can truly be spent enjoying the best of all worlds while residing in an affordable area with a wonderful quality of life! Fresno also boasts superior educational facilities including an acclaimed state university campus, as well as an active arts community, limitless recreational opportunities and spectacular scenery…all made accessible by an abundance of affordable housing. While there is much to see and do in Fresno, the city is ideally located for fast, convenient getaways to the majestic Sierra (just 90 minutes away) as well as the scenic Central Coast, just an hour farther. Fresno is the only major city in the country with close proximity to three national parks, including renowned Yosemite National Park. And, paying a visit to San Francisco or Los Angeles requires only an easy morning’s drive. You’ll find Fresno close to everything…and close to perfect!